But it was the border collie, accompanied by the Anatolian shepherd dog who asked for a cuddle. Beware, they are supposed NOT to be pets, they are supposed to defend the livestock from the leopards! The Du Toit family have been farming at Driehoek for five generations. The guest farm offers accommodation/camping. Mountain biking trails. Swimming in mountain streams. Wildlife and fynbos flowers. Hiking to the Maltese Cross etc. Horse riding. Fishing. The highest vineyards in South Africa producing award winning wines. Farm animals are child friendly. Then something completely different – skincare treatment! There are troops of baboons. Foraging cautiously around the campsite for bulbs. Accompanied by a grey duiker. This bulb with its vibrant coloured flowers is named Babiana for the baboons who like to dig up the bulbs to eat. Mole rats and porcupines will also eat these bulbs. 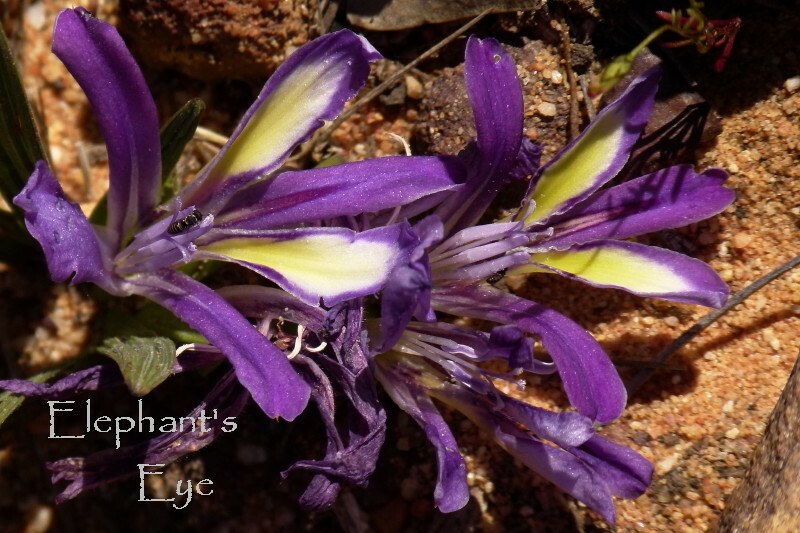 Babiana ambigua grows in flat sandy places near Clanwilliam. 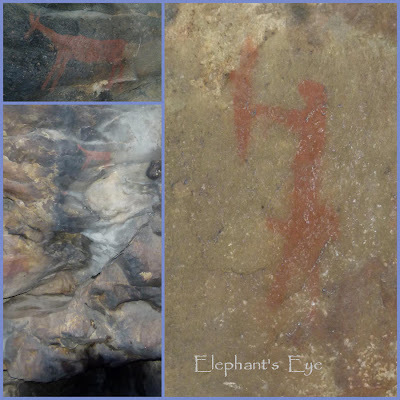 In the caves above Driehoek, the patient and curious can find San/Bushman paintings. Sadly campfires in the cave have spoilt some of the paintings. But we can still see a mountain rhebok and a San hunter. 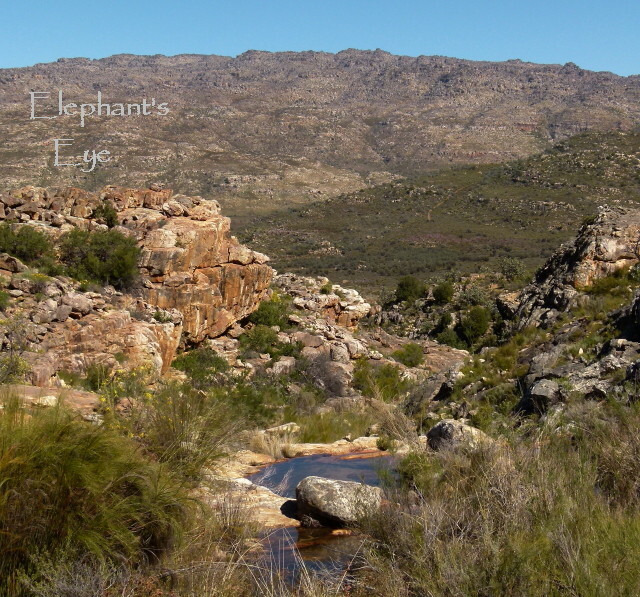 There in the mountains amongst the rocks, are Cape leopard. 'About 35 resident adult leopards live in the greater Cederberg area (from Pakhuis pass to Katbakkies in the Bokkeveld)' – from the Cape Leopard Trust. 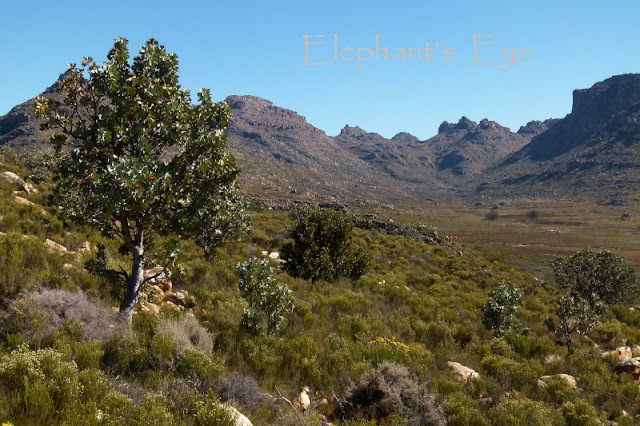 Remember leaf ears in the Karoo? 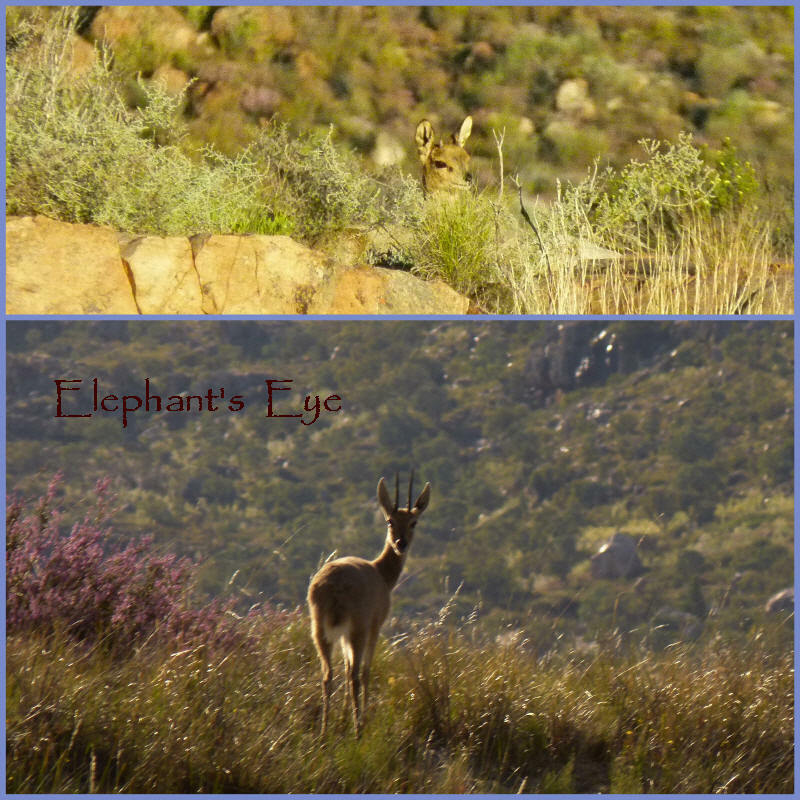 Klipspringer and grey duiker are potential prey for the leopards. Beneath the stones, the cautious may find scorpions. Only those with the appropriate skill and knowledge, NOT me or the Ungardener, would handle them. Trained zoologist or conservationist? Come back ... The closing picture is a rock agama. 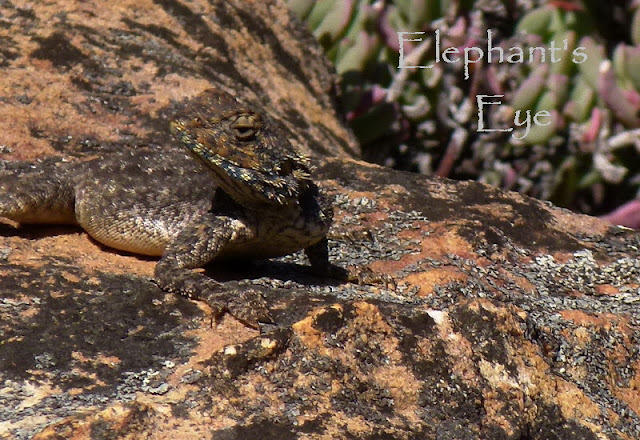 See how the lizard's colour and texture disappears against the lichened rock. Only betrayed by his shadow. (That awful old joke about soldiers learning to camouflage tanks in the desert – very good, now what about that shadow? Throw some sand on it!) Do come back, for working with the Cape Leopard Trust. He paid for accommodation at Driehoek, but at a special rate for the Cape Leopard Trust. wonderful pictures of the wildlife!! I just saw Klippspringer in a zoo, but you are lucky to see them in the wild! Now THAT was a fabulous post! I helped to care for a leopard in a sanctuary. Poor Bobby was declawed and had his teeth filed. He was an ex mascot. How people treat such animals breaks my heart. Diana - If ever you hear of volunteers being needed by the Cape Leopard Trust again, please wont you let me know. Leopards are RMans most favourite animal ever. 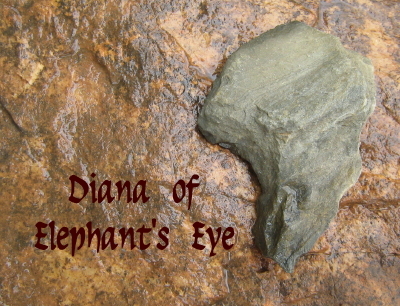 Great post Diana. I look forward to reading about the work of the Cape Leopard Trust too. Love the photo of the Rock agama - Jurg takes great photos! Fantastic photos! You live in such a beautiful area. Thanks for the great post! It's all so exotic to my eyes, I can hardly believe all this exists in the same world as we (here) see around us daily. I'm impressed by the agama - both it and the photo. Fascinating post! 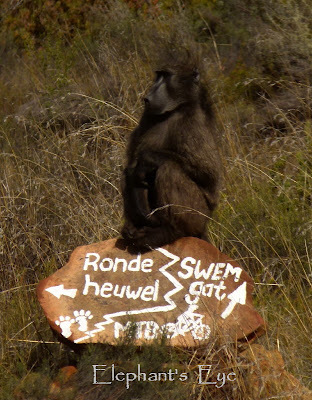 Love the baboon pics - I have a film pic (where oh where is the neg?) of a baboon sat on a surfboard on top of a car like a real cool dude in South Africa when I visited in the late nineties. I read this post with great interest, Diana. You live in a far different world than I do. We have Mountain Lions (Cougars) in the mountains above us, however, they are rarely seen in the valley, although last week there were several sightings an hour or so north of us. I have always imagined Africa to be a land with Lions and Leopards in great abundance. 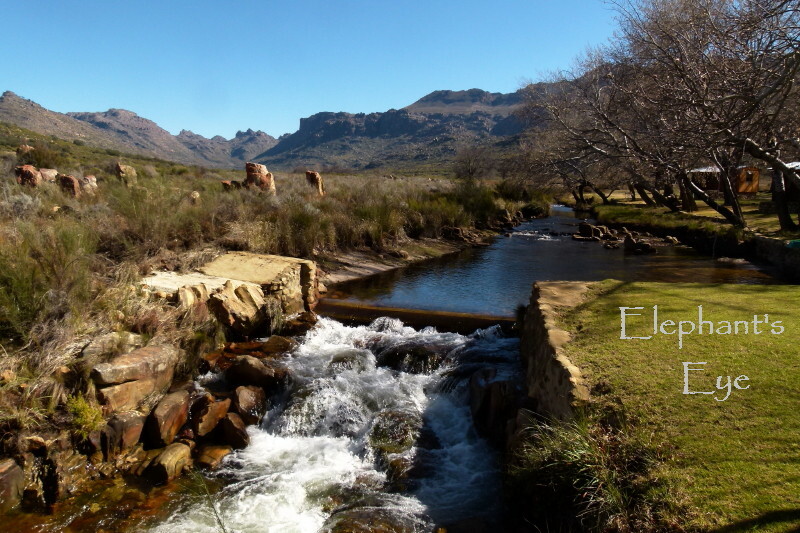 Are Cederberg Leopards endangered? I thought your number of 27 seemed quite sparse. I watched with fascination the slideshow offered in your Cape Leopard Trust link. Thank you for your post. Loved it. Carolyn - 'Conservation status uncertain' and research is ongoing. Interesting post. 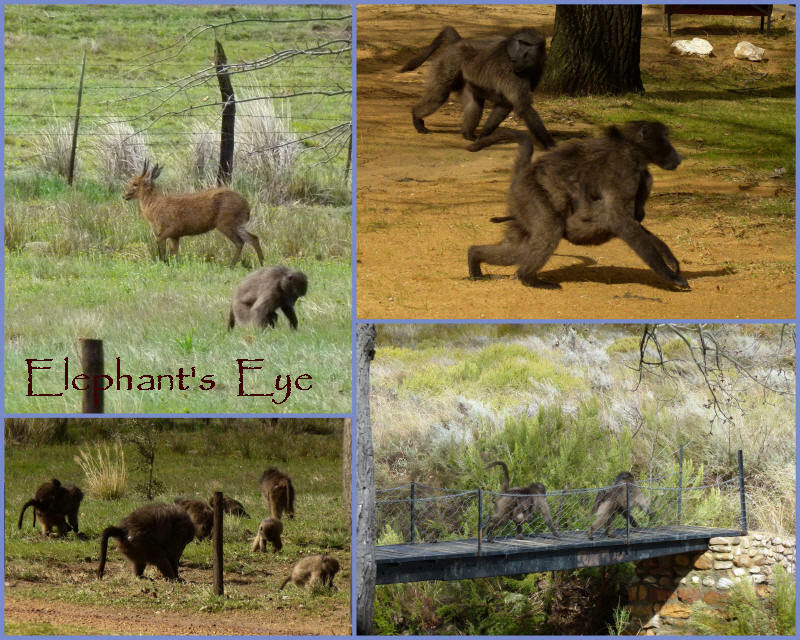 Loved seeing the baboons, but wouldn't want to be near them in real life. The one sitting on the rock looks so funny! And the bushman rock paintings are fabulous. I hope they are protected somehow. Holley - the baboons are OK in the wild, where they are cautious. Problems arise at the urban edge, the same sort of issue in the US with bears. Don't feed them, or leave food out. Holley - 'Rock art is protected by the National Monuments Act and vandals who deface rock paintings face fines of up to R10 000 and/or two years imprisonment'. Under the stones, the cautious may find scorpions. The cautious? The reckless, I think you mean!!! The picture of the scorpion in the hand made me go Brrrrrrrrrr. Wonderful volunteer work. I'm sorry to hear about your leopards. Are they hunted for something? Most of my SA friends on Facebook are currently busy with saving the rhino. I love animals and am greatly saddened at how most wildlife is now threatened. Diana, I belatedly noticed one of your labels. Are these the Middelberg mountains which are the habitat of Encephalartos middelburgensis? 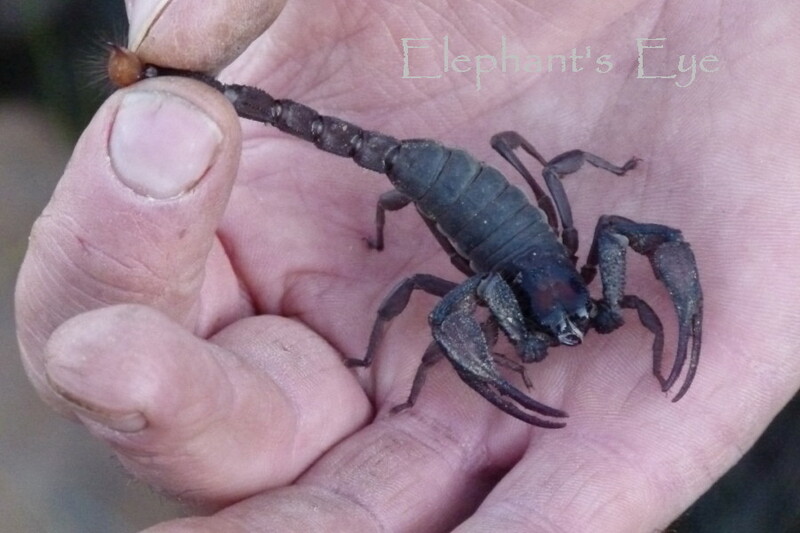 It is on my must chase list but unfortunately classified as endangered. Bom - hunted for something? You mean like rhino horn? No this is conflict with farmers, or hunting trophies. The Middelburg of your cycad is in Mpumalanga up north. I love big cats! But even without finding the leopards, I still enjoyed your journey and photos! My fault for not learning about the trust. I had thought they were being saved from hunters ala rhino horns. It is still unfortunate that in the process of protecting their sheep, the farmers also catch and inadvertently harm other wildlife. I think it is wonderful that there are programs like these which teach everyone to try and live together. I really like the fact that the children are taught to appreciate your mountains and the flora and fauna that come with it. What a diverse world we live in. Thanks for the photos. I don't know if I was amazed or scared! Bom - I agree, teach your children well. As I know you do! I like cats but wouldn't go looking for big wild ones. I'd be afraid of being mistaken for a giant mouse. Beautiful and fascinating photos. I so enjoy reading and learning about the other side of the world. Though the plants and animals seem exotic, the issues you face are the same - conservation and preservation and honoring the natural world. Very interesting! I wish I lived nearby...I would love to go see leopards...such beautiful animals. Great post...it was an adventure on its own. Such an interesting post, so far from my own home and experience. I have never seen a baboon or leopard outside of a zoo. I have seen plenty of lizards, but never one so wonderfully camouflaged against a rock! Those are wonderful shots by your Ungardener, and i smiled for your mention of the focus on the rock instead of the leopard. Since i had a friend in South Africa i've always thought and hope to be able to see animals in the wilderness, but it seems my dream is so far away. Diana, I really enjoyed this post, getting a closer look into the mountains that surround your home. For some reason I had not realized there would be monkeys. wow! that is what i call wildlife. I did well until I saw the scorpion. Leopards and baboons remind me you are truly a 'world away'; it's just great stopping by.